Today, March 24, is recognized by the World Health Organization (WHO) as World TB Day. This annual event commemorates the date in 1882 when Dr. Robert Koch announced his discovery of Mycobacterium tuberculosis, the bacillus that causes the disease. Tuberculosis is now rare in the United States and other developed nations with ample access to antibiotics, but in poorer regions, it trails only HIV/AIDS as the greatest cause of death due to a single infectious agent. For WHO, reducing the incidence of TB infection remains a significant global priority. In the 1940s in the U.S., the impact of TB was real and devastating. This period was also the golden era of the dramatic public health film. The United States Armed Forces led the way, producing dozens of films educating soldiers and citizenry about threats to the health of American fighting forces. These movies, designed to inform and mobilize, sought to show viewers how to prevent and treat such maladies as malaria, dysentery, and venereal disease. State agencies and private organizations such as the National Tuberculosis Association joined in, producing their own works on communicable diseases, sanitation, dental health, and other public health concerns. The Michigan Tuberculosis Association, working with the Dramatics Department at Michigan State College (renamed Michigan State University in 1955), produced Peter Borik. 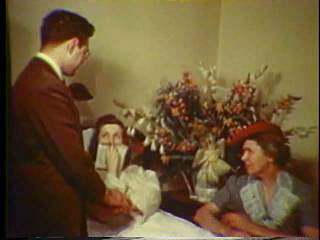 In the film, Mr. Borik refuses to acknowledge his illness or allow himself to be quarantined or treated. He remains in bed at home, interacting with his family, eating from the same dishes they use, and sharing common spaces when able to leave his bed. Because Mr. Borik takes no precautions against the spread of infection, tragedy befalls his family. Both his daughters contract TB. One dies at home, while the other collapses at work and finally agrees to go to a sanatorium. 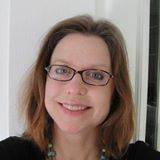 She is cured, but the damage done to the family is permanent. 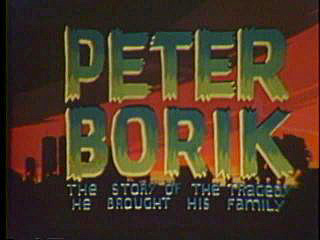 To watch more films like Peter Borik: The Story of the Tragedy He Brought His Family from the National Library of Medicine’s Historical Audiovisuals collection, visit NLM’s Digital Collections.